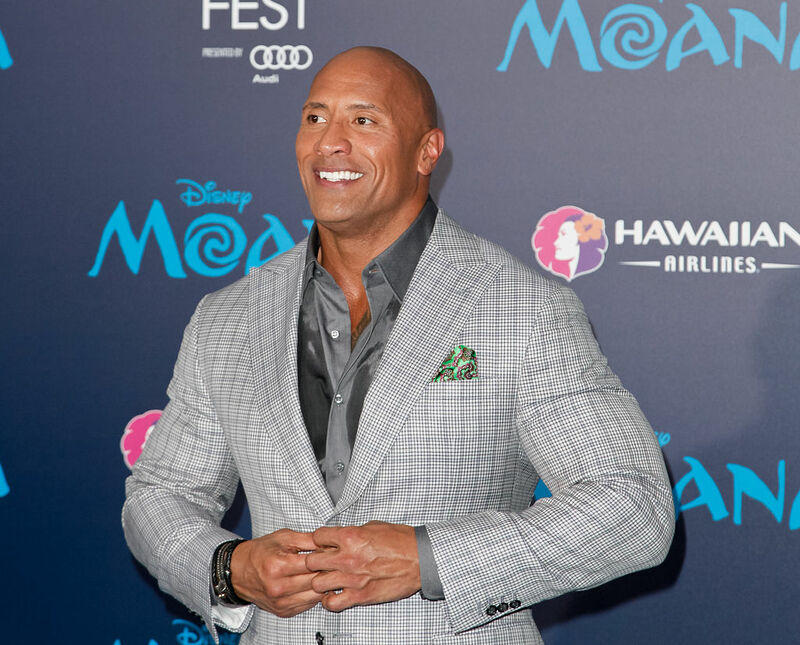 Dwayne Johnson has been on quite the adorable kick as of late. He voiced the hilarious Maui in Moana. He took his 15-year-old daughter on the dad-daughter date to end all dad-daughter dates, the People’s Choice Awards. And now, we find out he hangs out on set snuggling the crap out out of adorable puppies? Stop, The Rock, just stop. You are getting dangerously close to being too adorable to function. So, as People reports, here’s how the puppy-snuggling went down. While Dwayne Johnson was on set, filming a commercial for Ford, he was interrupted by a passel of French bulldog puppies. Johnson was down for the cute as heck break. Not only is he totally a dog person, he’s specifically a French bulldog person. He is the proud human dad of Hobbs (named for Johnson’s Fast and the Furious character, or, according to Johnson in the Instagram vid below “one of the greatest movie characters of all time”). Okay, we get it, The Rock loves Frenchies. But why did a bunch of rando pups show up on set for him, again? Well, it was for the special announcement that for the next three months Seven Bucks Digital Studios (AKA the digital division of the production company Johnson cofounded) will be donating its ad revenue to Best Friends Animal Society (AKA a completely wonderful rescue animal organization). It doesn’t get much cuter than The Dwayne snuggling with tiny army of Frenchie pups. He’s so huge! They’re so small! It’s incongruous! And hilarious! Most of all, it is ADORE-A-BUBBLE. We hope this is the beginning of a beautiful friendship between Dwayne Johnson and, like, six miniscule French bulldogs.